I LOVE Eggs Benedict! It is one of my true weaknesses. 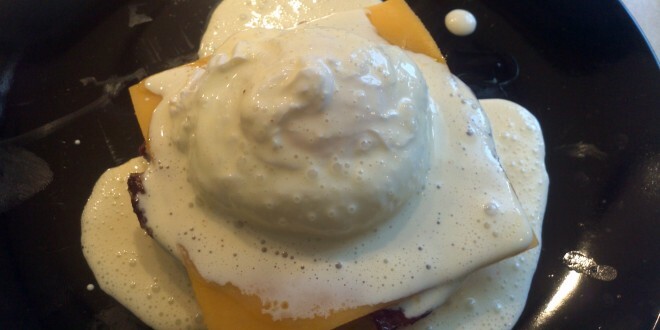 Although I hadn’t had it yet while on keto because you need an english muffin and you have to make hollandaise sauce. I’ve made it in the past with the sauce from a packet but that has carbs in it. So, I was watching one of my favorite shows, The Pioneer Woman, and she showed how to make Hollandaise sauce from scratch! 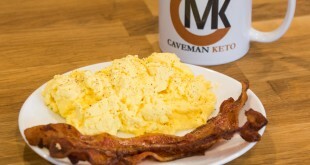 This, combined with my trusty almond buns, and we’ve got some Caveman Eggs Benedict action! Here is the finished product! 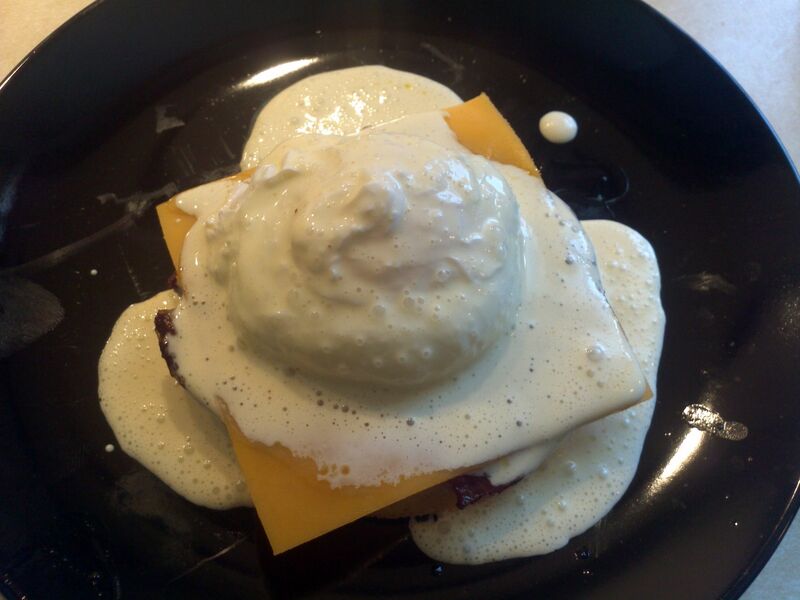 I ended up using almond buns, cheese, a bacon weave, a poached egg and the hollandaise sauce. I started by making the sauce, for this, head over to The Pioneer Woman’s site for the recipe. It was pretty simple, I just mixed the eggs, lemon juice and melted butter in my mixer. 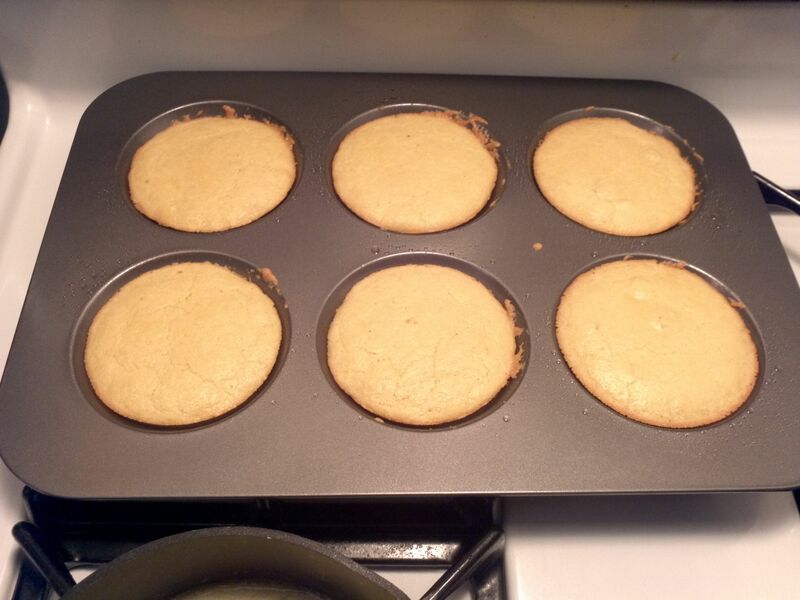 Here are the completed almond buns. 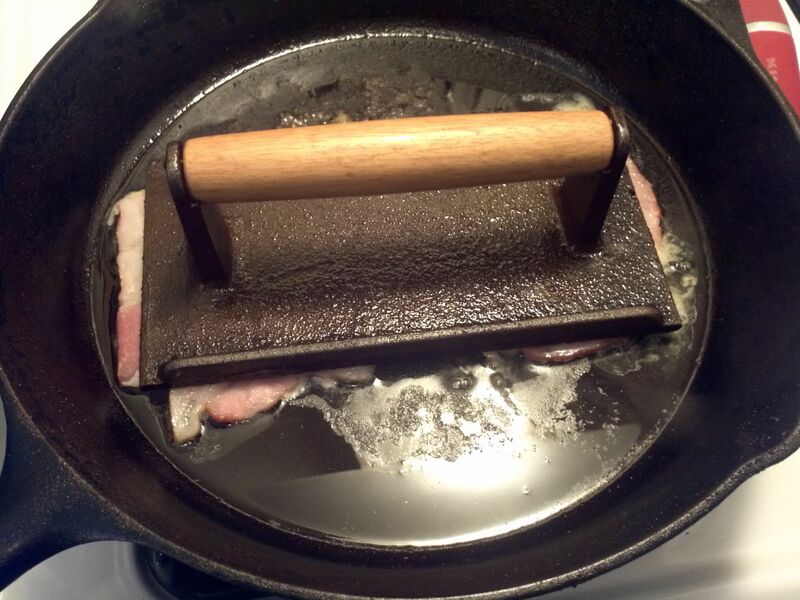 Here is a picture of the bacon press working its magic on the bacon weaves. 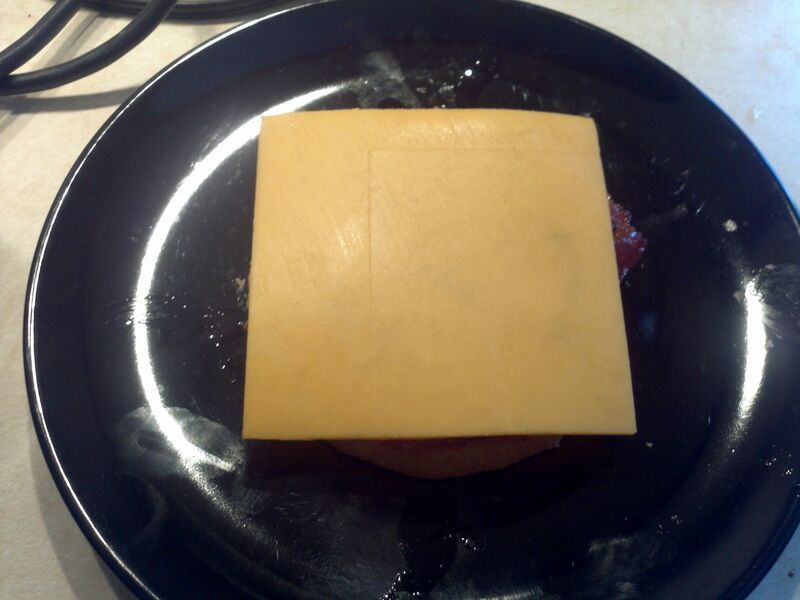 For a more detailed explanation on making the 3×3 bacon weave click in the link or watch this YouTube video. 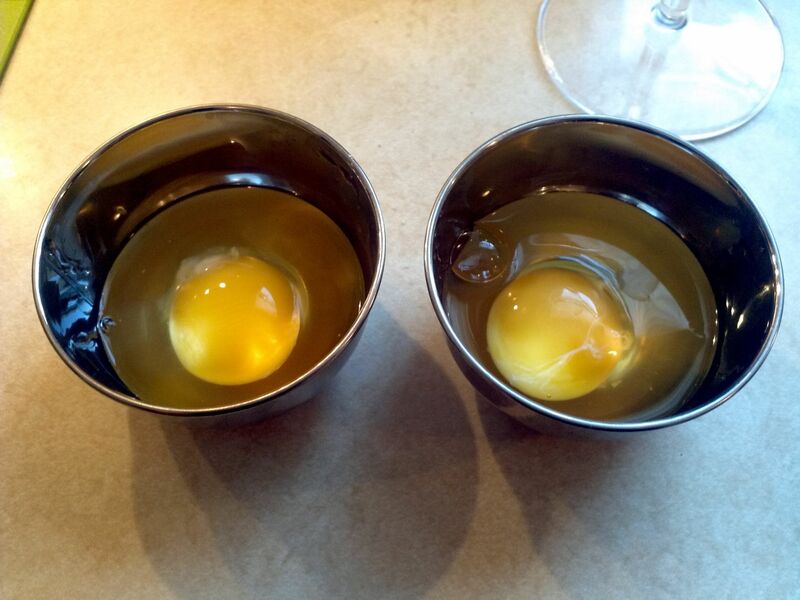 Now is the complex part, you want to setup for making the poached eggs. 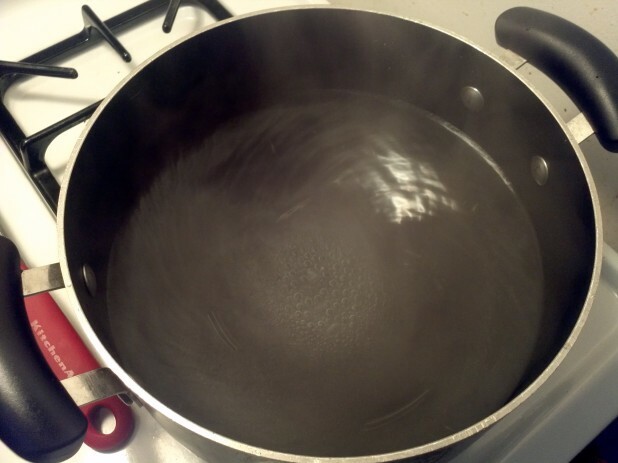 Start by bringing the water to a simmer and adding some vinegar, then, and this is key, swirl the water. You can kind of see it in the picture above, but you want a sort of vortex in the middle. 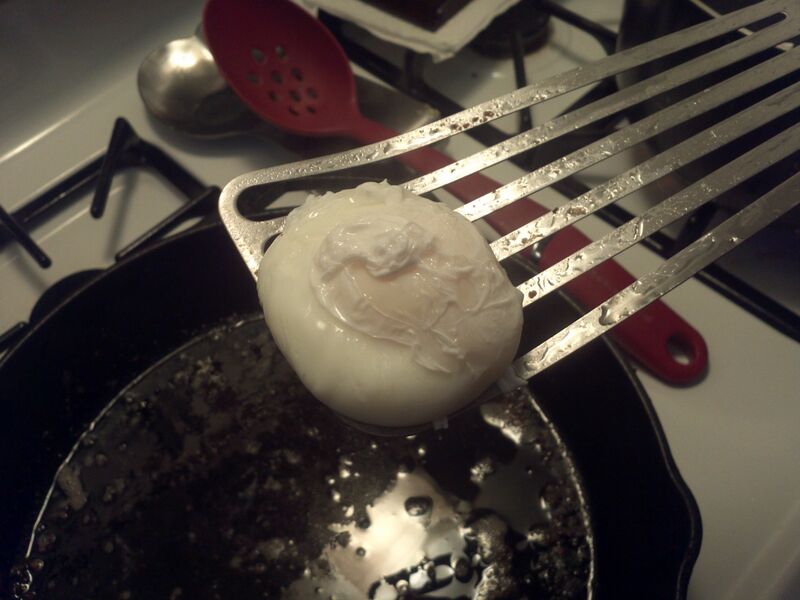 This ensures your eggs will be whole rather than a hot mess. Before I put the eggs in, I break them into prep bowls to make the process smoother. You want a clean and quick entry into the water and its better to not directly crack the eggs into the water. 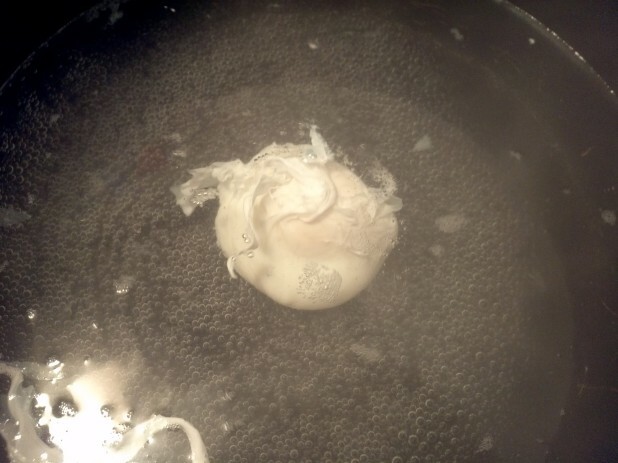 Here is the egg mid poaching. You want to cook it for around 3 minutes. Here is the finished egg. I was originally going to use a slotted spoon (pictured in back), but it turned out my fish spatula was actually the best tool for the job. Shake off any excess water and get to assembling! 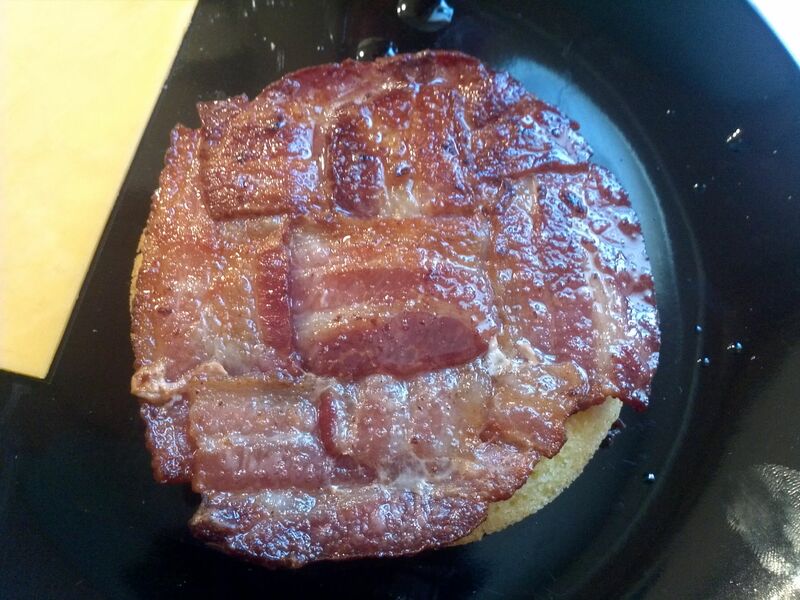 Take an almond bun and put a bacon weave on it. Add cheese on top of the almond buns. And here is the finished product! 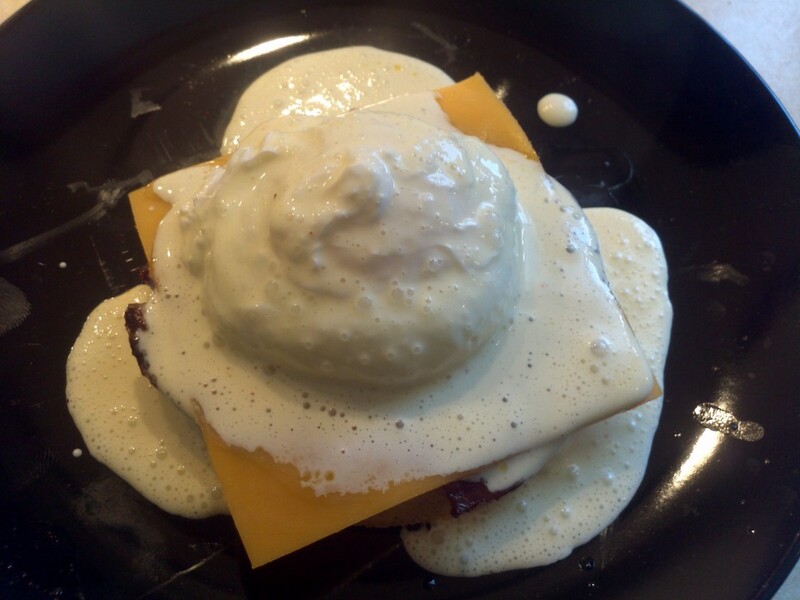 It was pretty amazing and I had enough hollandaise sauce to make this for days! Hollandaise sauce: It’s Eggs Benedict Day! Almond Buns: Faux Bread Quest: Holy Grail! Almond Buns!!! You should try with a portobello mushroom instead of the bun.